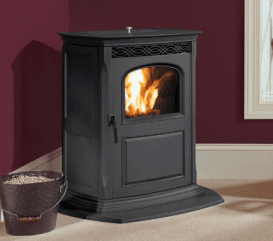 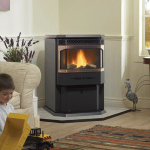 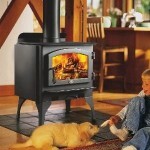 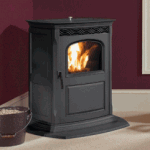 Stoves | Grass Roots Energy Inc.
Below you will find information about some of the Stove’s we have to offer. 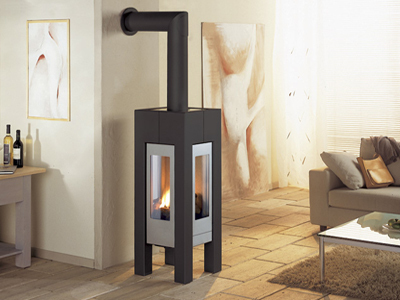 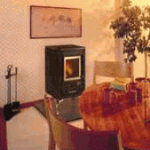 A Wood Burning Stove slowly allows air to combine with the wood. 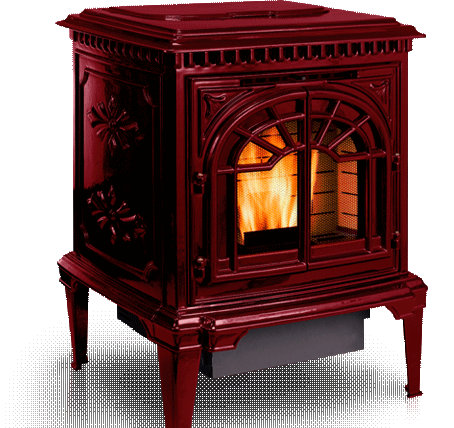 This allows the fire to be controlled, and to last for 6 to 8 hours, building up heat inside the firebox. 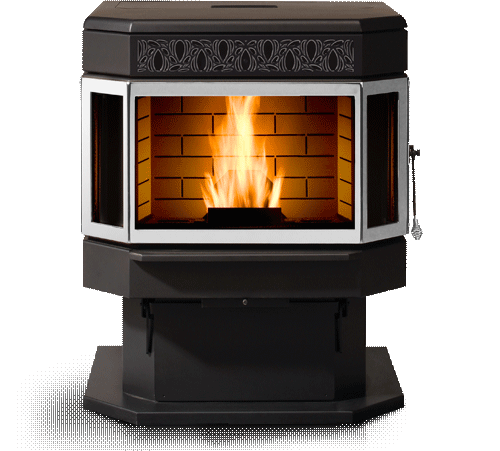 This hot firebox temperature causes the mass of cast iron, or steel to soak up the heat, and to radiate or convect the heat into the house. 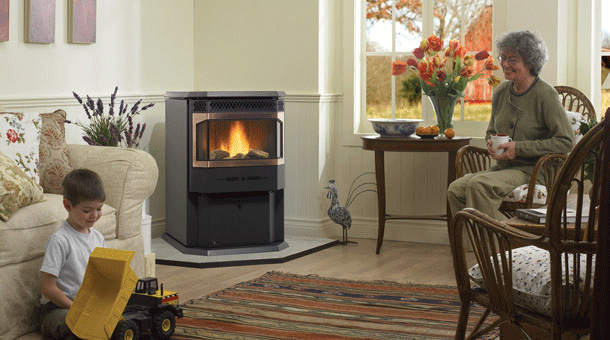 Direct Vent products take air for combustion from outside the house, direct vent products exhaust flue gases to the outside of the house. 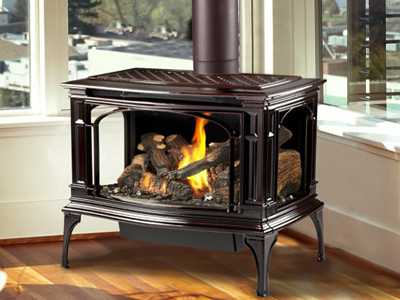 This balanced system makes for a cleanand efficient hearth product. 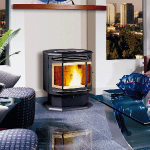 Venting configurations are flexible, allowing one to vent vertically, up thru the roof, or horizontally out of a wall. 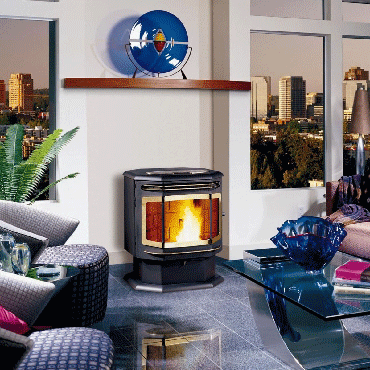 Direct vent products are often A.F.U.E. 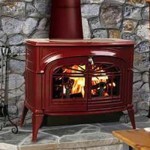 rated This category ione that provides energy efficiency. 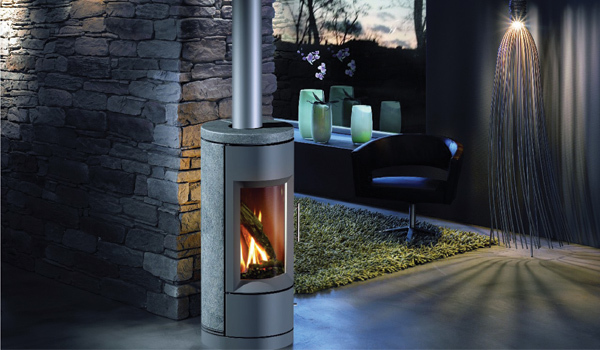 Pellet stoves burn compressed wood or biomass pellets to create a source of heat for residential and sometimes industrial spaces. 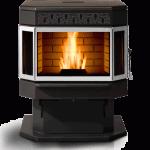 By slowly feeding fuel from a storage container (hopper) into a burn-pot area, they create a constant flame that requires little to no physical adjustments. 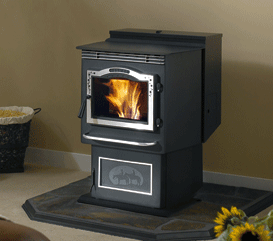 A corn stove is designed for whole kernel shelled corn combustion and is similar to a pellet stove. 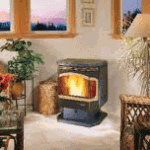 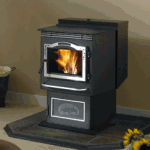 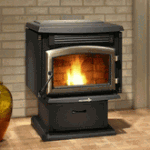 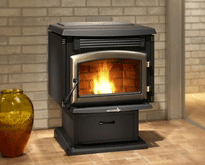 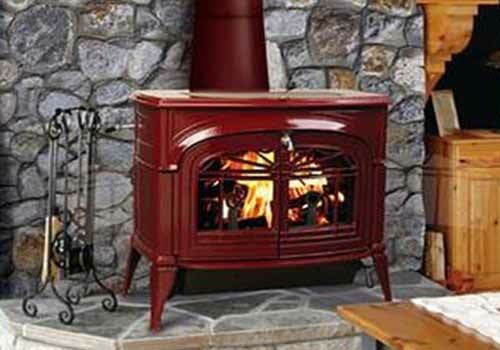 The chief difference between a pellet stove and a dedicated corn stove is the addition of metal stirring rod within the burnpot or an active ash removal system. 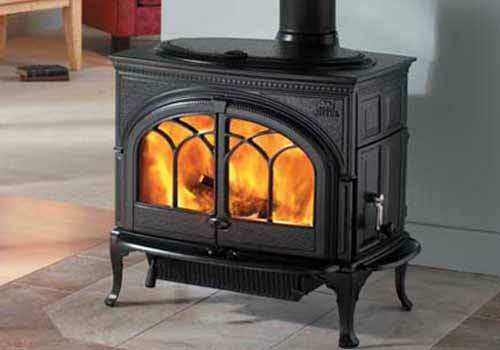 These vary in design slightly, but usually consist of one long metal stalk with smaller rods welded at a perpendicular angle, in order to churn the burn-pot as it spins. 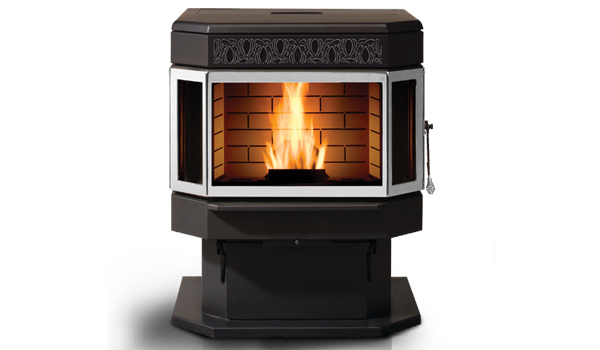 An active ash removal system consists of augers at the bottom of the burn pot that evacuate the ash and clinkers. 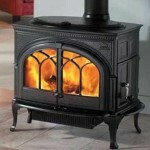 During a normal burn cycle, the sugar content within corn (and other similar biofuels) will cause the ashes to stick together, forming a hard mass. 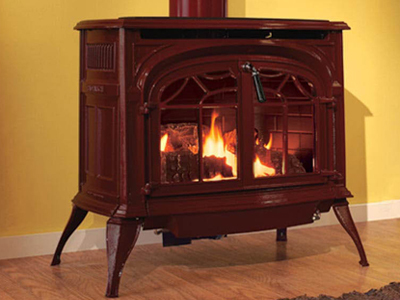 The metal stirring rod, which is usually connected to a motor by a simple chain system, will break apart these masses, causing a much more consistent burn. 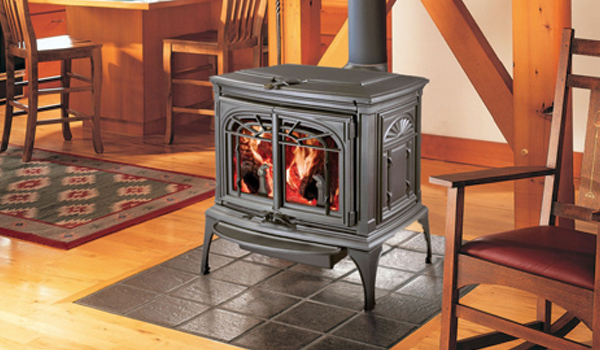 Vent Free Stoves are fueled by LP/bottled gas or natural gas. 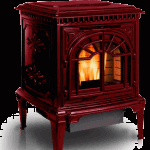 In the US, some states and local counties have laws and ordinances regarding these types of fireplaces. 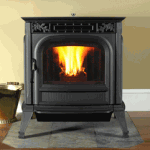 They require the least installation and are the most efficient stove. 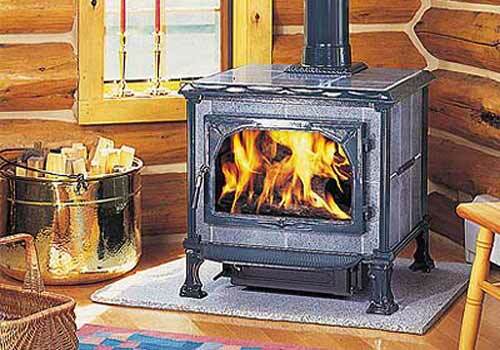 The gas burning version of a vent free stove while using less fuel, burns that fuel at close to 100% efficiency. 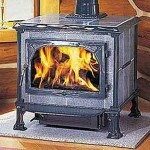 They must be sized appropriately to the area to be heated. 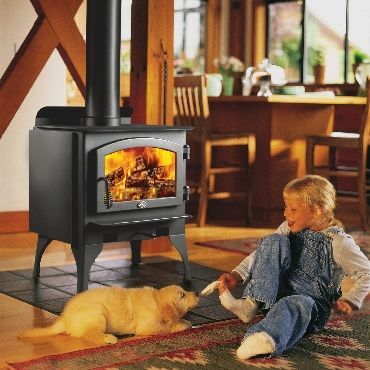 Aside from the heat output there are also air quality control problems due to the amount of moisture they release into the room air, and oxygen sensor and carbon monoxide sensors are safety essentials.